Late summer colour and smells. I always seem to have plants around which I do not want to throw away but which I do not have space to plant in the ground. 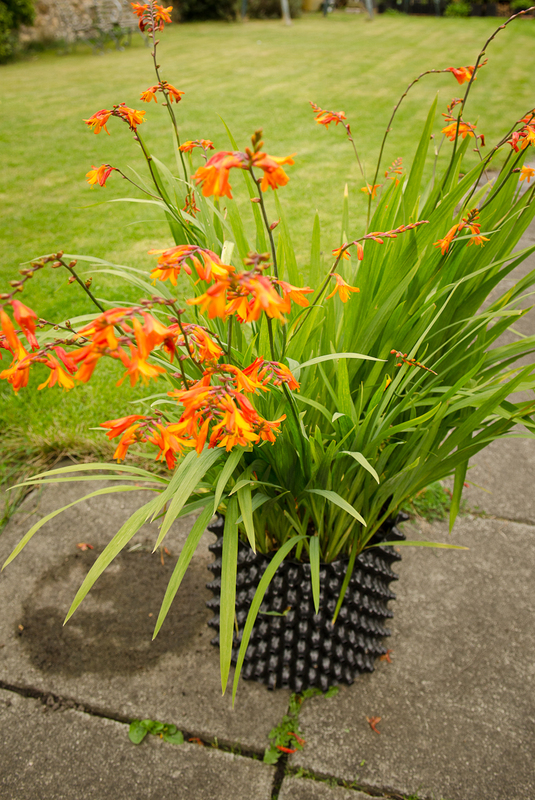 Over the course of the season a few of these misfits were planted in Air-Pot containers, often with the intention of finding a permanent home later. But of course, some are still in pots months later. Fortunately the crocosmia bulbs and hydrangea plants are none the worse for it. 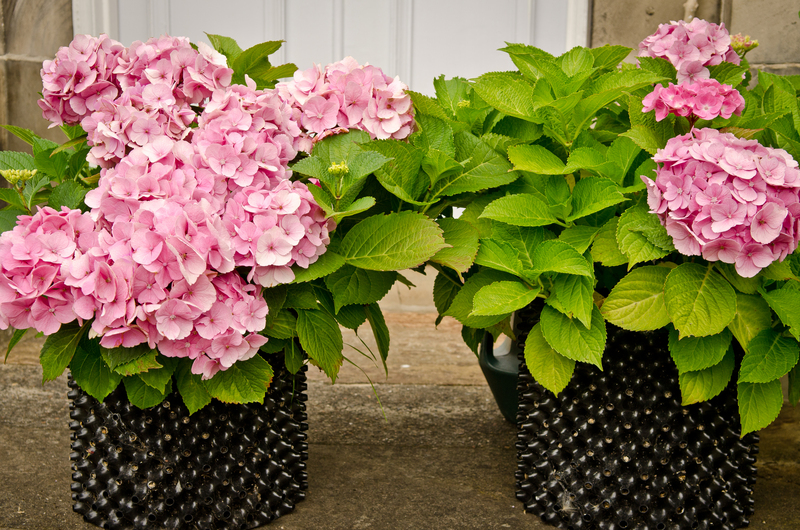 The hydrangeas had been heartlessly tossed on the midden.Now after a few months in an Air-Pot they are blooming marvellously and have been given pride of place on each side of the front door. 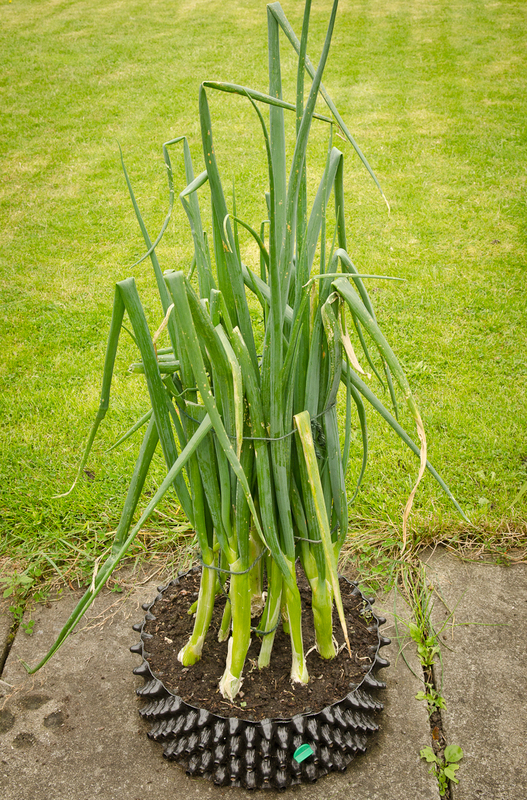 Spring onions in an Air-Pot propagation tray were left to mature, mainly because I had lots of other onions to eat. I thought I might plant them out to grow for seed production, however they are still in the tray, sturdy as a little grove of trees, apparently quite happy and about to flower in soil just 10 cm deep. Of course successful growing in containers usually needs plentiful feeding, especially greedy crops like tomatoes. My allotment greenhouse plants were all fed exclusively on homemade comfrey feed, they thrived on this producing big heavy crops. Whereas plants in the garden greenhouse were all fed on a high quality organic feed which contains seaweed, but they are not as good as the comfrey fed plants at the allotment. 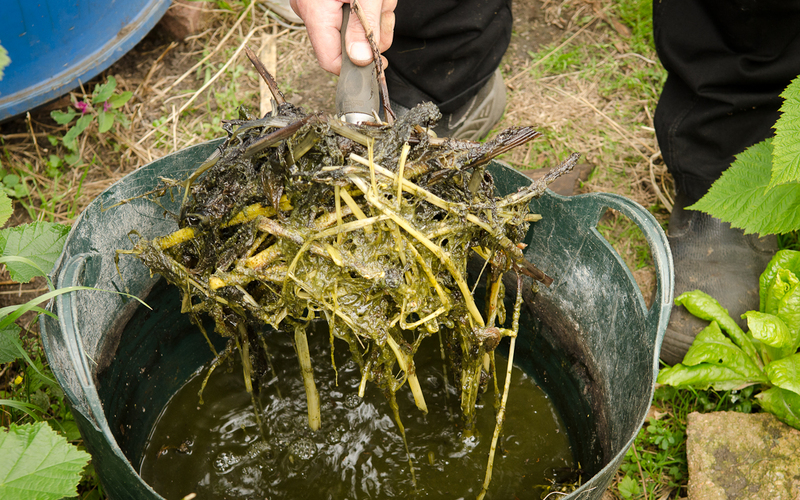 Comfrey feed is made by simply immersing a tub full of leaves in water for a few weeks, this stinky brew is then added to a can of water (about 1:5) and given to plants once or twice a week. 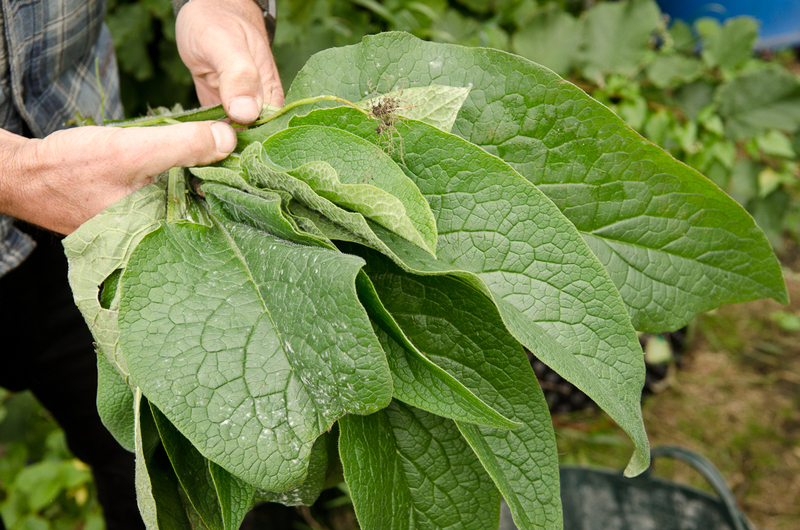 Comfrey is easy to grow in out-of-the-way corners, borage and nettle leaves can also be thrown into the pot to steep.